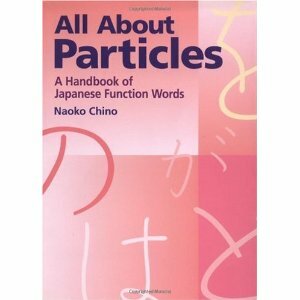 All About Particles by Naoko Chino is a reference book for Japanese function words such as “wa”, “ga”, “demo” and “ni”. Within its 149 pages you will find plenty of examples and Japanese sentence patterns that will help you to use Japanese particles accurately and naturally. The examples and Japanese sentence patterns are written in romanji as well as kanji/kana. The particles in All About Particles are not in alphabetical order or even a-i-u-e-o order. Instead, they are given in the order of frequency so for example, the first particle discussed is “wa”, followed by “ga” then “mo” etc. The book covers 69 particles and has a dedicated section on particles used to end sentences. All About Particles is $16.00. You can save $5.12 and get it from Amazon for $10.88.